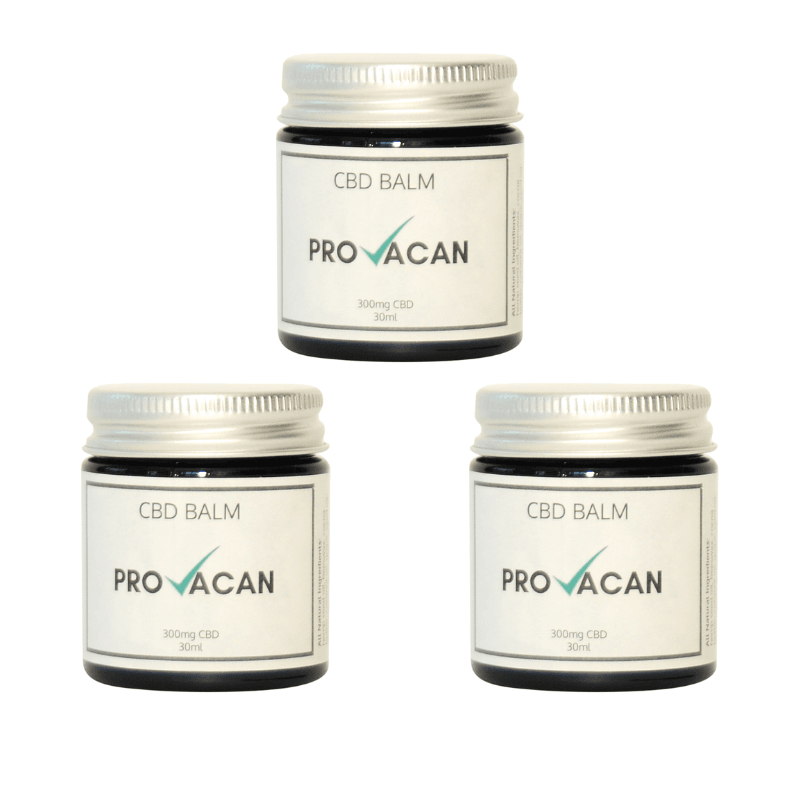 Provacan produces a range of CBD products including Oil, Vape Juice and Balm. New products are being introduced all the time, and the brand has quickly gained a reputation for producing high-quality CBD products. The company behind the Provacan brand is CiiTECH, an Israeli business who have forged strong links with the famous Hebrew University of Jerusalem. It was here that Dr Raphael Mechoulam first discovered both CBD and THC in the 1960s. Dr Mechoulam, who is known by many as the “father of modern cannabis”, has strong links with CiiTECH and together, they have carried out a number of research studies into CBD and its benefits. Provacan CBD Oil is available in both 6% and 12% versions. It’s fair to say that Provacan products are at the very top end of the CBD market when it comes to quality. When making your next purchase of CBD Oil, it’s hard to look past their range. The vast majority of CBD products sold in the UK are classed as CBD Isolate. This means that the purified CBD has been extracted and isolated from all other cannabinoids present in the hemp/ marijuana plant. 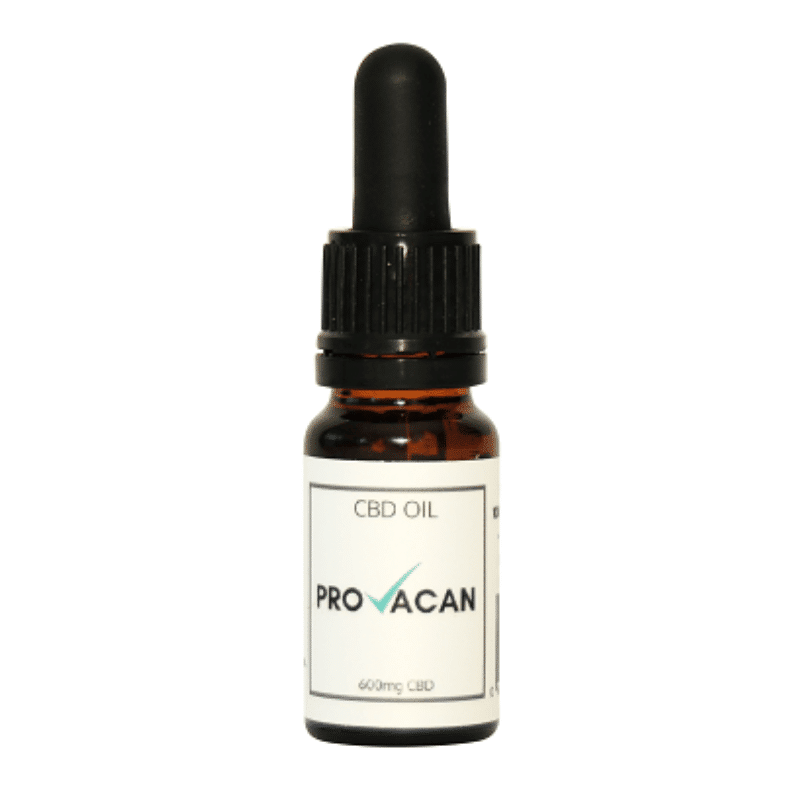 Provacan CBD Oil is a full spectrum product which contains a range of other cannabinoids found in the hemp plant, including CBG, CBDv, CBC and THCVa. Why is Full Spectrum important for people using CBD? It was thought that purified CBD in the form of CBD isolate was the best way to take CBD and, would provide the most benefits to the user. In 2015 this theory was shown to be incorrect by a study from the Lautenberg Centre for General Tumour Immunology in Jerusalem. The study demonstrated that Full Spectrum CBD was far more effective than CBD isolate at providing relief. It was also more effective as dosages were increased, whereas the results from CBD isolate plateaued out. In short, CBD works best when combined with other naturally occurring cannabinoids. Although we know CBD to have the most benefits, other cannabinoids can also help with many conditions, and they appear to support each other when used together. 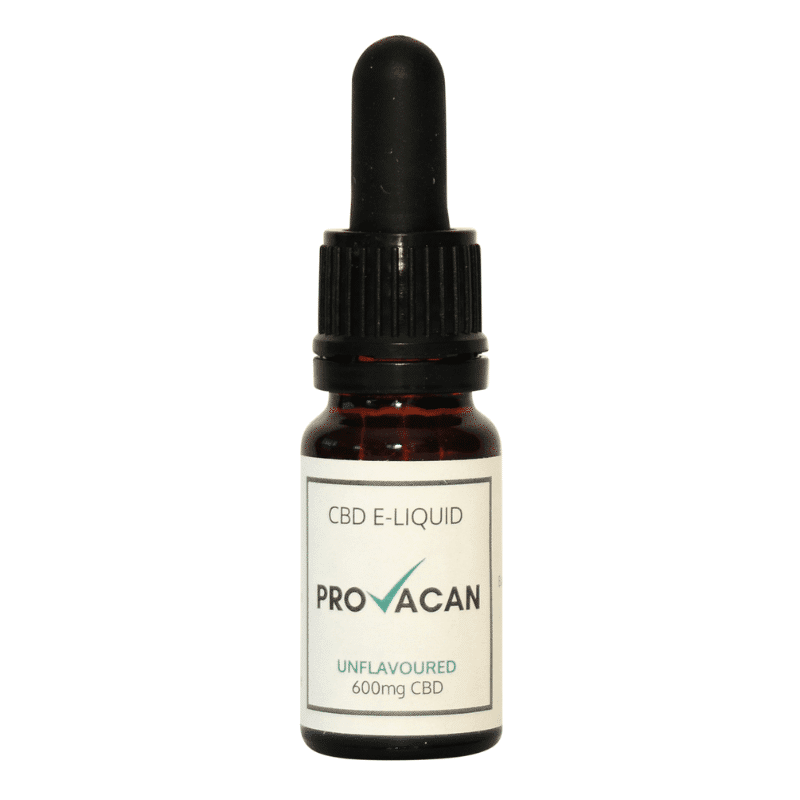 Provacan CBD Oil uses an enhanced Terpene profile to produce a richer flavour and optimised therapeutic performance. You may not be familiar with the name, Terpenes, but they are in fact something you will have been smelling and eating your whole life. Terpenes, or terpenoids, are aromatic organic compounds which are found in the oils of all plants. Terpenes are what give plants their smell, and there are over 20,000 in existence that we know about. The Cannabis plant has approximately 200 Terpenes. Several studies have been carried out that demonstrate how terpenes help cannabinoids (such as CBD) pass more effectively through the bloodstream and lower the blood to brain barrier. Put simply; you will feel more or less effect from a cannabinoid based on the terpenes that accompany it. Terpenes not only support cannaboids but they have also been found to have their own medicinal benefits. Terpenes can be used to increase or reduce the effects of cannabinoids in what is known as the ‘entourage effect’. Terpenes and cannabinoids work together and play off one another to ramp up or chill out the effects. The enhanced Terpene profile used by Provacan in their CBD oil means that not only will the smell and taste of the oil be more pleasant, but the CBD will also be more effective at providing relief. Provacan CBD Oil is as much as six times more potent than many other brands on the market. Their 1,200mg/12% CBD oil contains up to 6mg of CBD per drop. The majority of other leading brands contain in the region of 0.5-1mg per drop. To our knowledge, Provacan is the only CBD brand backed by a renowned CBD research organisation. This level of understanding and knowledge of CBD means that the Provacan range is leading the way for those who want to enjoy the many benefits of CBD in the UK. 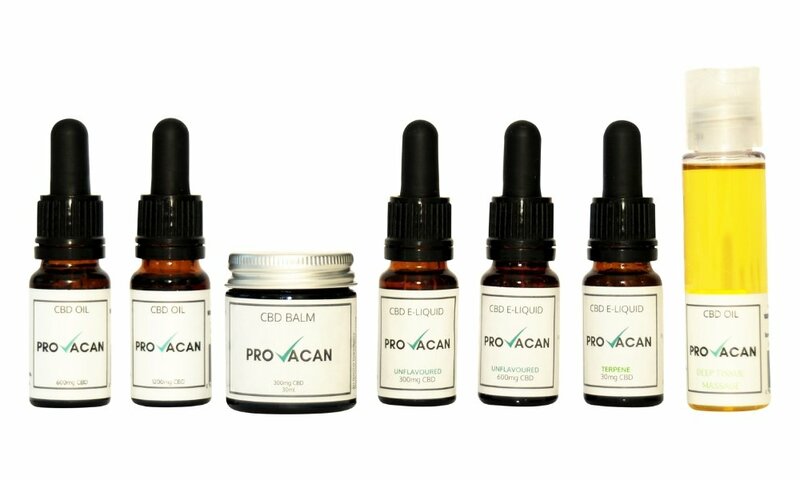 The Provacan range can currently be split into three categories; CBD Oil, CBD Vape Juice and CBD Balm or Topicals. All three are used in different ways, but they all provide the high-quality CBD experience you would expect from Provacan. 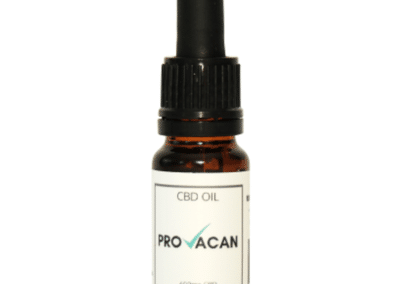 Provacan CBD Oil – This laboratory validated and beautifully crafted CBD Oil is supplied in 10ml glass bottles and is available in either 600mg (6%) or 1200mg (12%) strengths options of natural, organic hemp extract. To gain the maximum benefits from Provacan CBD Oil we recommend sublingual application (application under the tongue). This method allows for quicker abortion into the bloodstream and bypasses the stomach which can reduce the effects. Provacan CBD Vape Juice/E-Liquid – The only full spectrum CBD E-Liquid available in the UK. It can be used on its own or mixed with your favourite flavours. 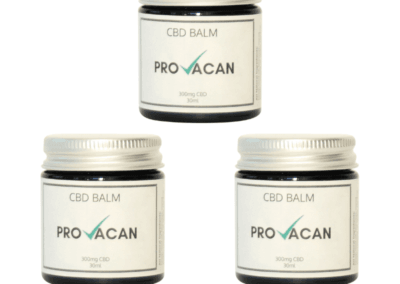 Provacan CBD Balm – Provacan CBD Balm is the ideal option for anyone looking to maintain and promote a youthful skin glow. Rich in active agents that work effectively at revitalising your skin by maintaining skin cells and giving you an unbridled soothing feeling. CBD balm has an almost endless list of uses including the treatment of many dermatological, muscular and skincare issues.